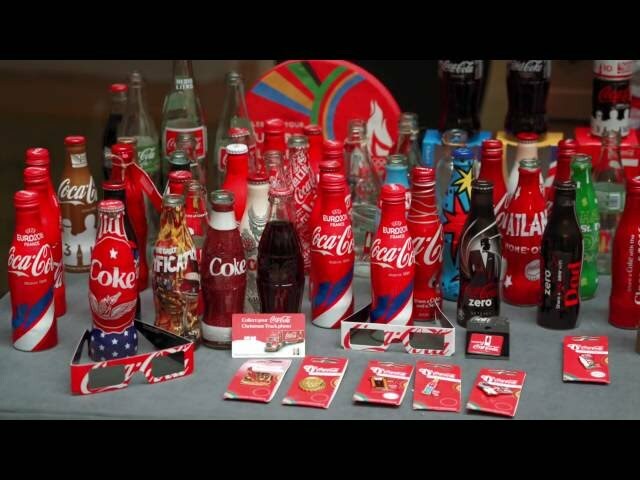 Coca-Cola employees don’t have to be in Rio this summer to get a taste of the Olympic Games – past, present and future. Thanks to a collaboration between the company’s fine arts and archives teams, vintage Olympic advertising and collectibles, plus Olympic torches from the last 20 summer Olympic Games line hallways at Coke’s Atlanta headquarters. Employees and visitors can stand within inches of the 1936 Berlin Olympic torch before walking past eight decades of Olympic torches to view Rio 2016 memorabilia. Caitlin Bowron, brand and fine arts support manager, says the exhibition “brings to life the spirit of the Games,” not only by harnessing a call for unity, but by building pride among employees for being a part of a company that has dedicated 88 years to supporting the Olympic movement. “It makes it feel like we are all a part of it to have this really special piece of the Olympics here for us to look at,” adds Ginny Van Winkle, cataloging archivist.